ESABASE2/Atmosphere, Ionosphere applications are evolved from the former ESABASE/Atomic Oxygen (AtomOx) application, which is subdivided into two applications in its ESABASE2 implementation. 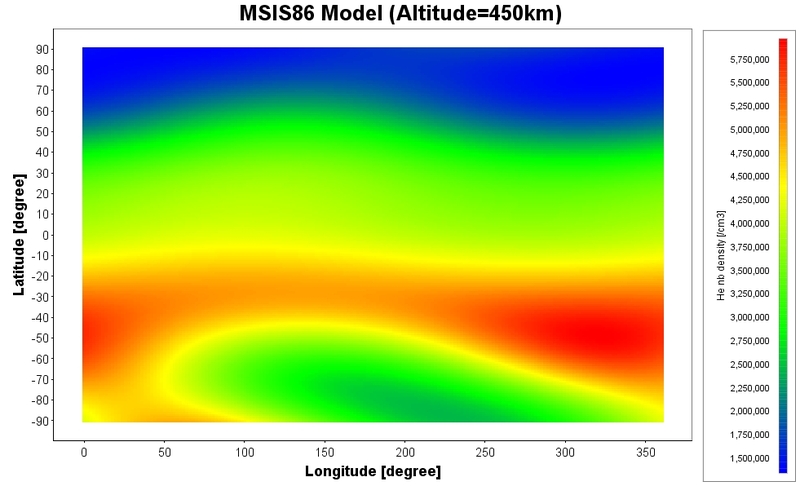 Both applications provide 3D numerical analysis capabilities for the assessment of fluxes and fluences of the constituents of the atmosphere or the ionosphere received by an orbiting spacecraft, and the resulting surface effects (e.g. material erosion). To analyse a spacecraft with respect to the configurable Atmosphere and Ionosphere application models, users can apply different materials to the spacecraft’s surfaces.